I would tell them that they do what they say they're going to do, they stand behind their word, and they're friendly. They communicate very well, their prices are fair, and they're helpful when troubleshooting. They've been great. Very professional and very quick, they do things as promised, and they are very thorough. They're clean and fast. I was extremely satisfied. They get the work done, and they've been very responsive. 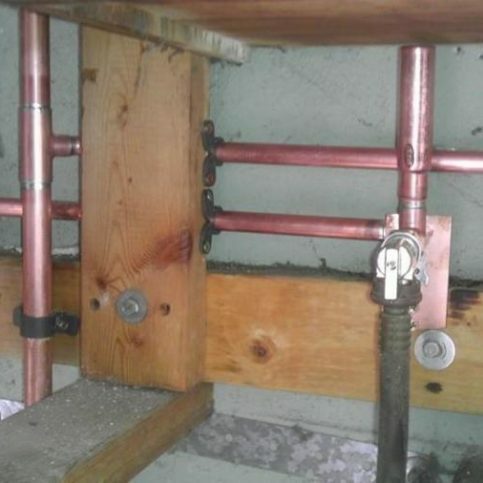 Gladiator Repipe, Inc. provides whole house copper repiping services for residential clients in Santa Clara, Alameda and Santa Cruz Counties. 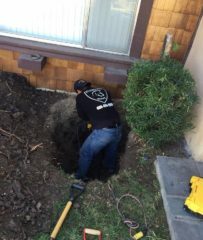 In addition to its pipe replacement and installation capabilities, the company has the training and equipment to perform general plumbing work like sewer line repairs and water heater installations, and its technicians are available 24/7 to handle plumbing-related emergencies. DIAMOND CERTIFIED RESEARCHED CAPABILITIES ON Gladiator Repipe, Inc.
Company Name: Gladiator Repipe, Inc.
DIAMOND CERTIFIED RESEARCHED ARTICLES ON Gladiator Repipe, Inc.
A Gladiator Repipe technician works on a residential project. 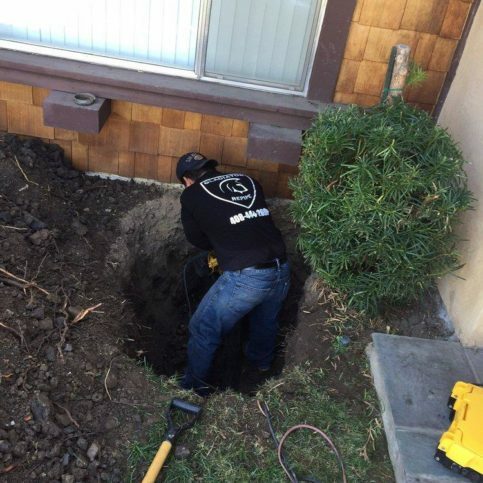 Gladiator Repipe has been replacing and installing pipes for residential clients in Santa Clara, Alameda, and Santa Cruz Counties since 2013. 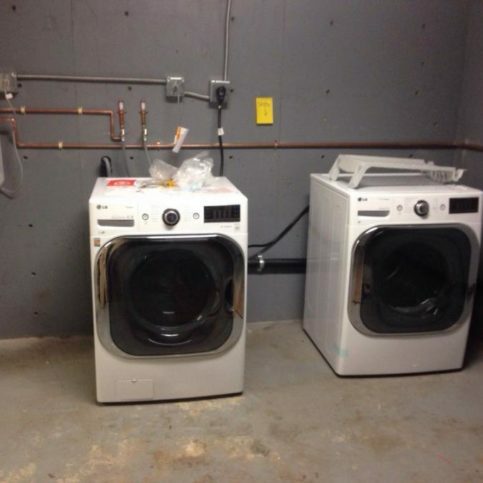 The company also has the training and equipment to perform general plumbing work like water heater installations and sewer line repairs, and it’s available 24/7 to handle plumbing-related emergencies. 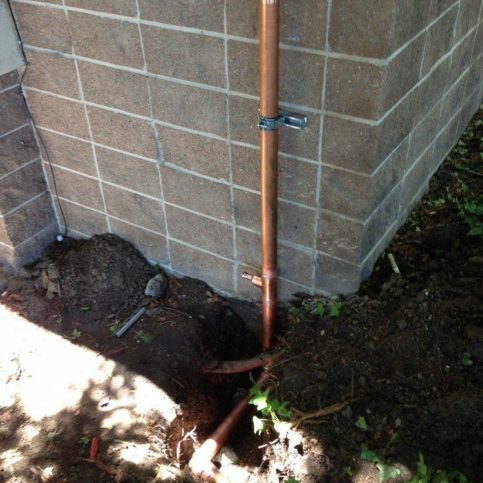 Plastic water piping may be an economical option, but when it comes to long-term value, copper is king. 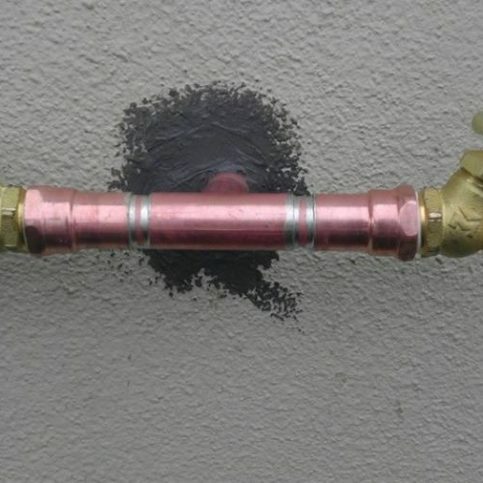 With today’s sophisticated synthetic technology, plastic has become a popular choice for water piping, particularly for homeowners on limited budgets. However, when it comes to choosing pipes, there’s a lot more to consider than the bottom line, which is why homeowners should educate themselves on their options. Another disadvantage of PEX piping concerns the fittings. 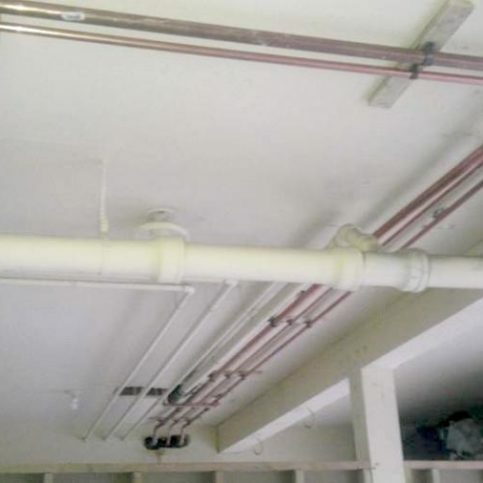 Unlike copper pipe fittings, which are soldered on, the fittings for PEX piping aren’t bonded to the pipe. Even though they fit tight at the time of installation, the vibrating of the pipes eventually causes the fittings to loosen. “It’s not a matter of ‘if’ the pipe will leak; it’s a matter of ‘when,’” says Mr. Bailey. Regardless of its faults, PEX piping still has a 25-year lifespan, which gives homeowners a reasonable value for their investment. However, when compared to copper piping’s 50-year expected lifespan, its true cost-effectiveness is called into question. 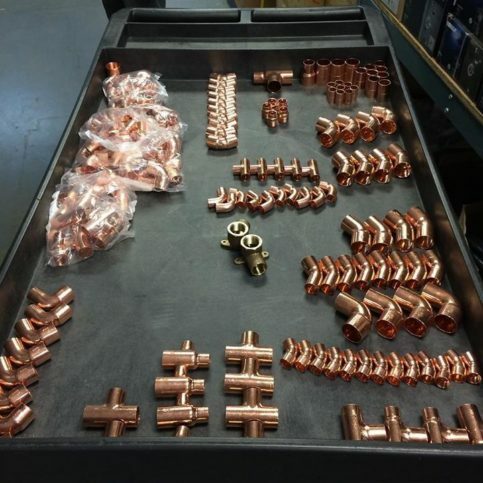 Copper piping is more expensive to install at the outset, but with double the longevity, it offers a substantial long-term value. 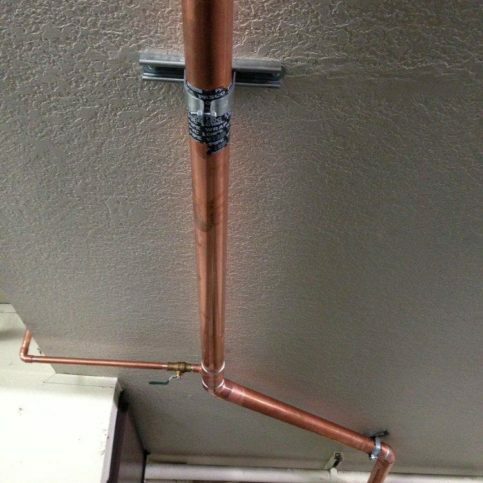 Additionally, unlike PEX piping, copper doesn’t leach any harmful chemicals and is recyclable, so it’s a superior choice for both personal health and the environment. A: From start to finish, our process takes four days: two days of work and two days of inspections. The first day is for repiping, and your home will be without water for approximately six to eight hours. On the second day, the city does its inspection. On the third day, we do the sheetrock and patching. On the fourth day, we conduct the final inspection. A: No, all of our technicians are employees. We’re happy to provide a list of employees upon request, as well as proof of liability and workers’ compensation insurance. Q: Can you add custom features or additions? A: Yes, that’s a common request. Whether you want to install a water softening system or extend piping access to certain rooms, we’ll be happy to take a look, figure out the most cost-effective way to do it and make it happen. Q: How do I know if I need to replace my pipes? A: There are several signs to look for, including the presence of rust in the water and multiple leaks throughout your piping system. In general, if your home has old, galvanized steel piping, it’s a good idea to have it replaced. 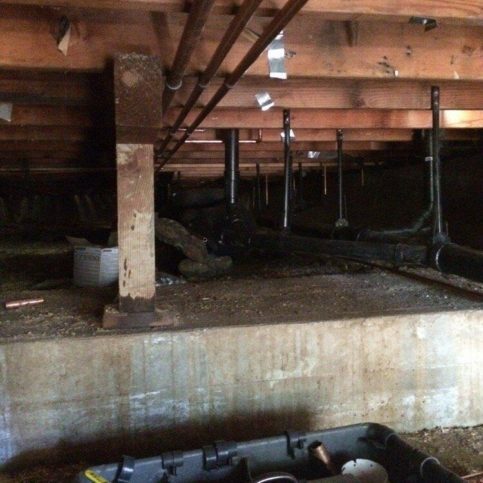 These pipes are prone to corrosion, which can cause a lot of problems over time. SELECTED PHOTOS FROM Gladiator Repipe, Inc.
Diamond Certified RATINGS ON Gladiator Repipe, Inc.
Gladiator Repipe, Inc. : Average 9.1 out of 10 based on 52 unique customer surveys of customer satisfaction. They're honest, and their price is comparable. It's family owned, and they have someone to answer to the phone during business hours. I was very satisfied with their service. The end result, and they were very responsive. The owner was really nice and knowledgeable. The service was very good, excellent. They were very clean and very careful. They just did a wonderful, extremely professional job, and they explained everything to me as they were doing it. I would recommend them. They worked on both sides of the duplex, and they treated the property as if it were their own. They even showed me the new pipes that they were bringing in and the pipe that was damaged. The crew did a wonderful job. They're on time, and they do what they say they're going to do. They were punctual, and they had good customer service. Everything was great. They were just very efficient. They were really good. They kept their appointments, and if something came up, they always called to let me know when they would show up. The people who did the work were wonderful, and the work they did was great. They were fast, efficient, and they got the job done. I gave them a Yelp review as well. They were awesome. They got the job done, and they didn't try to upsell me on anything. They were very responsible and efficient. They got the work done as promised and on time. I appreciated the personal contact of the owner. He was there every day. We did two different four-plexes, and we had a little problem with the permitting on the first one, which was handled. The owner made sure that everything was lined up for the permitting on the second one. I respect their work. They did a great job, and they kept the house clean as they went along. The customer service, the owners listen very well and help you whenever you need it. They wanted to make us happy. I'm happy with their work. They're knowledgeable, reliable, and dependable. There was no hassle. They took care of everything. They were reliable, honest, and hardworking. The personal contact and the clarity of the service, they explained everything, and they were very polite. They are very family-oriented, very hands on people. They walked me through everything. I went with them even though they were a higher quote, because they explained everything to me. We felt more comfortable about the quality of the work they were going to do. Also, the owner stopped by during the work to check the work and check in with us. While they were doing the work I had hired them for, they saw other issues that I had and worked with me. They gave me good ideas on options to resolve the issues. They were very quick, very professional, clean, and they were in and out. I called them after the work was done, because one of the pipes was leaking, and they soldered a new valve in and took care of it for me. They also told me the work they did on my plumbing is covered for the lifetime of the house. Gladiator sets themselves apart from regular contractors, because they keep their appointments, and they follow up on everything. The level of professionalism that they showed me, I give them a AAA Diamond rating. They do an awesome job. I was very satisfied and happy with their work. They were on time, courteous, and they did a good job.